When I started working at Needham, Harper & Steers in 1982, the agency had just lost the McDonald's account. The fast food giant was such a big part of the agency's culture that there was even a McDonald's right in the lower level of the building, part of the massive Illinois Center development at Michigan and Wacker in Chicago. Having this franchise an elevator ride away was a mixed blessing. We were kind of pissed off at them, but it sure was convenient. So we ate there, but we also made fun of them. A lot. And one thing we found especially amusing was the introduction of the McRib. It was definitely an oddity in the fast food business: a sandwich made from chopped pork, pressed into a patty shaped like ribs but boneless, drenched in sugary (well, high-fructose corn syrup) BBQ sauce. Yum. 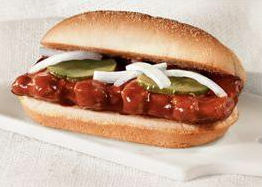 One a particularly slow day, we decided to get a McRib and do a little taste experiment. We took the pork patty and ran it for several minutes under warm water to rinse off the sauce best as possible. Our suspicions were confirmed: the meat itself -- grey in color and amazingly well bonded so as not to come apart -- had absolutely no flavor, and standing alone and naked it looked nothing short of disgusting. This thing has been a perennial "special limited time only" menu item for going on 30 years now. I cannot for the life of me understand why, except to speculate that there are a lot of people in the country who have never had real BBQ in their lives, and somehow think the McRib is the real deal. Philistines. I'm not sure if Staley is correct, but it sure makes more sense than the counter argument that this is a delicious offering for people who love BBQ pork, given that I think my coworkers and I proved that wrong in our warm water McRib experiment way back in 1982. Read the who article here... it's worth ten minutes. 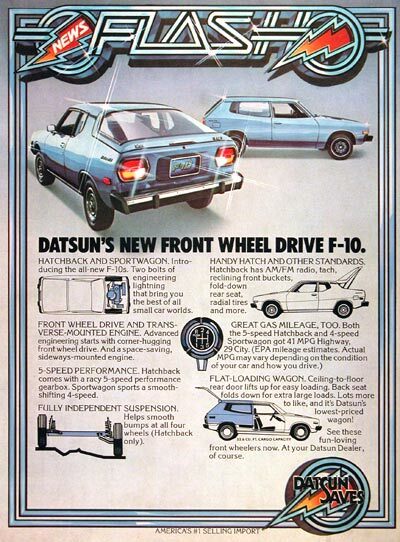 I am fascinated with advertising history. 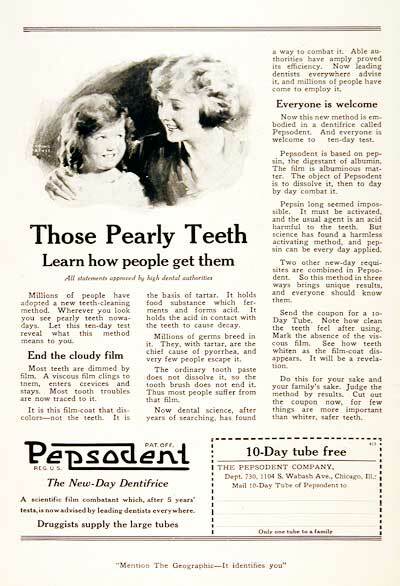 I especially like old magazine ads, as they are very accurate representations not only of advertising technique from various eras but also offer great cultural insights. That said, I'm not sure I like them enough to want to spend money to buy and collect them. But apparently some people do. Recognizing that wit the Internet there is a market for virtually everything, the people who run AdClassics.com are ready to sell you ad pages from old magazines. Seriously. 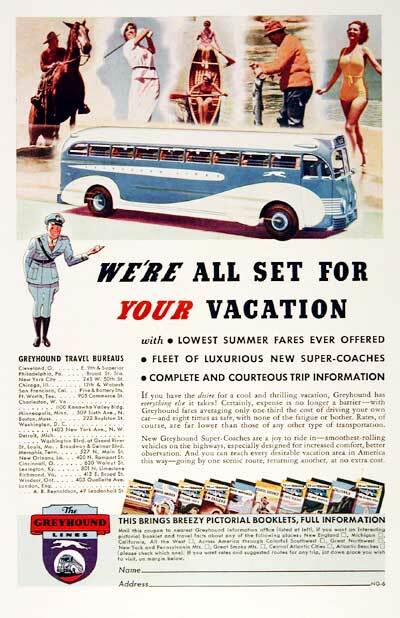 Vintage ads offer a fascinating glimpse of history and represent the archival documents of our consumer driven society. If you own a vintage or show vehicle, a print of its original publicity advertisement is the finishing touch to your investment. Ready to frame or laminate, our authentic classic car ads provide a unique decor to your home, business or showroom. All our ads are guaranteed authentic, carefully cropped from original publications. 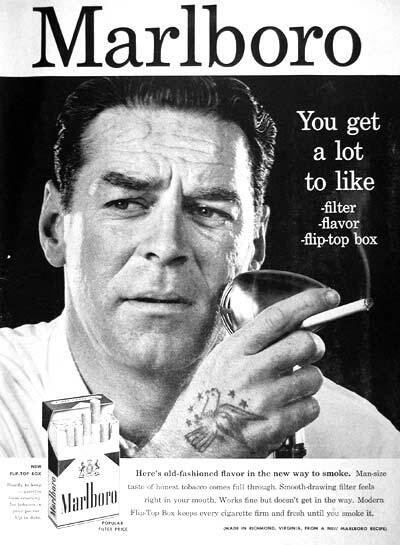 Our collection consists of over 1,000,000+ vintage ads so visit often to view our constantly updated selection. Click here to view all our ads. I kind of doubt I'd ever spend money on any old ads. But I could spend a lot of time just looking through the archives on this site. UPDATE: As is often the case for some of the best videos that borrow from copyrighted material, this one got yanked down. I found alternative links and recoded this post twice but they also have been shot down. Understandable. Too bad the Mad Men producers don't realize that videos like this actually promote their product. A lost opportunity for them, I suppose. The video pulls from Mad Men‘s “The Wheel” episode — in which Draper conceives an ad campaign for the Kodak Carousel — and applies its dialogue to the Facebook Timeline. It was created by Eric Leist, a technology strategist with Allen & Gerritsen. I still have a Kodak Carousel. In fact, I may have appropriated it from an ad agency I used to work for. A cool machine if there ever was one. And Mr. Draper is dead-on when he talks about the power of nostalgia. I agree with the guy who blogs at copyranter: I hate when advertisers make up words. Erudite as it may sound, I think it diminishes the quality of our language. 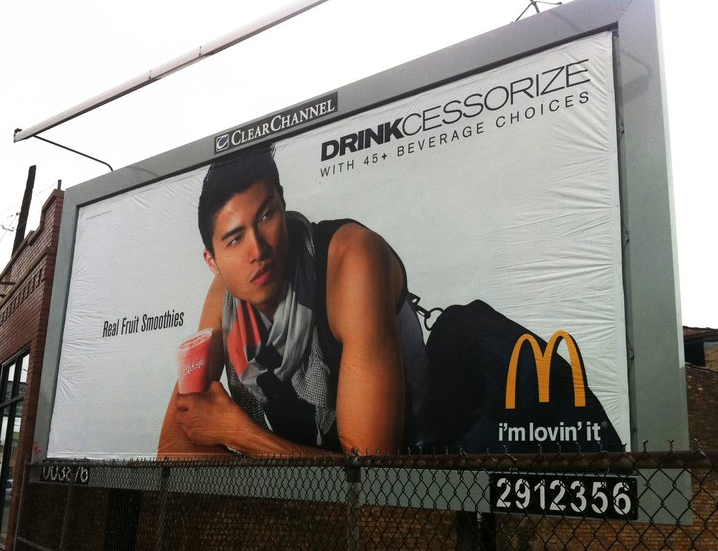 In this billboard by the Leo Burnett Company, McDonald's is now claiming that your beverage is an accessory. Sure, fashion is part of our self expression, our self definition, and our cultural interaction. It's why people proudly wear merchandise with prominent brand logos, why they drive the cars they do, why one is either a Mac or PC user (mostly Mac, I'd say...), and why we share the music we do. And that's all good. Anything can be fashion. Even beverages. At its core, that's a lot of what Starbucks is all about. It's a badge, a token of one's self. That's why they (and most smart marketers) protect their trademark so aggressively. That's totally fine by me. But, jeez, don't make up stupid words. It's already done too much. As comedian Hal Sparks notes, "unsweetened" is a made up term. "I want a plain iced tea." "You mean 'unsweetended'?" "No, I mean plain! What kind of person would sweeten a beverage and then go through a process to take the sweetener out of it? It makes no sense!" Yeah, maybe I should let it go. But it still bugs me. These little things, individually wrapped and similar to those Listerine breath strips (gelatin based, dissolves quickly) actually started out as a patch, but people thought that was dumb. So they changed to little sheets you slap on your tongue. They offer a smattering of vitamins and 100 mg of caffeine... about what you'd get in a weak cup of coffee. There's certainly a convenience factor, in as much as you can throw a package of 10 in your backpack for $5.95. Of course it takes more than three Sheets to give you the same buzz as the 330 mg of caffeine in a Starbucks Grande (almost the same price per mg according to my math). By comparison, these are a bargain compared to those little bottles of 5-Hour Energy, which only offer a 120 mg jolt (twice a can of Mountain Dew). So... cheaper than some things, more expensive than others. What about the "cool" factor? As it turns out, I found out by posting this video on my Facebook page that the brother of one of my friends is the one marketing Sheets. And we just happened to be going to last week's Badger game. So we stopped by one of the many pre-game gatherings near Camp Randall with some samples and did a little focus group work. The porch full of Wisconsin students were impressed. Well, I think they were impressed. They were very receptive, liked the few "Take a Sheet" t-shirts we had to give away, and were more than happy to try the product. I mean really happy. Screaming happy. One guy ate four of them, which we tried to discourage... mostly because we only had a single pack of ten. (He claimed he was hoping to offset the effects of the liquid refreshment he was enjoying... since maybe noon. Whatever. All I know is the damn things were popular. And they turn your tongue red. I have to admit I love a good pun, bathroom humor, and anything that can make me laugh out loud the first time. But I doubt I'll ever buy any of this stuff. And yes, there is a Take A Sheet website. Yes, I've been away. And I said I wouldn't go so long between posts. And I went over a month... a first in this blog's life. Sorry. Thanks, Dan Savage. And thanks, Google Chrome. Drake University: We want prospective students to think of us as a "D+" school. Wait, that's not what we mean. Well it is, but not the way you're thinking. We had a saying at the ad agency I worked at when it came to crappy advertising: "Behind every bad ad campaign, there is a client who approved it." Sure, it's a cop-out. Ad agencies, PR firms and marketing communication consultants go to great lengths to convince clients to approve campaigns the clients themselves might be a little nervous about. The agencies use arguments like "Edgy is good!" and "Don't worry that you don't like or get it. You're not in the target, so you're not supposed to." Of course, often the folks selling the campaign aren't "in the demo" either, but they claim to be able to think as if they are. Wait, what? D+? No! Really? Are you f***ing kidding me? In hindsight, introducing the concept and the testing that was conducted with the target audience may have minimized some of the concerns that have been expressed, and we are very sorry that many of you were caught by surprise as a result. Oops. The people at the Stamats agency must have forgotten one of the most important rules in successfully selling a campaign to a large organization: seek internal buy-in first. If the client's own people -- beyond the immediate client contacts -- aren't supportive or at least ambivalent toward the campaign, you're in for trouble. You'd think this agency would be aware of this need for internal acceptance and understanding, since they suggest they are experienced in higher education marketing. But you'd also think they'd see a red flag with D+ regardless of what surveys and focus groups told them. I gather they didn't. And at the very least, Stamats should have anticipated some media razzing and been prepared to meet it head on rather than allow the university to quickly become the subject of ridicule. The headline writers had a lot of fun with this story. Agency FAIL. The aforementioned letter goes on to explain all the reasons why the Drake Advantage campaign and D+ icon are all good things. Focus groups, copy testing, on-line surveys and all those other research tools suggest this is a "unique" approach that "conveyed that 'attending Drake would give me a distinct advantage that might not be available from other colleges and universities,' three-quarters of the participants responded affirmatively." But it still screams D+ on the view book cover and on the admissions home page. I have to wonder whether the admissions staff ever thought to take a walk over to Meredith Hall in the center of campus. That's where they would find the offices of the faculty of Drake's award-winning School of Journalism and Mass Communication. That would be the school that offers degrees in advertising and public relations. Most of the faculty have real world practical experience in things like campaigns, branding and the like. I'm not sure, but I am willing to bet they would have been willing to consult... maybe even for free. At the very least, I hope a few of the PR professors are helping the admissions people fight their way past the waves of alumni and staff anger and embarrassment not to mention the media folly over this campaign. But I doubt they were asked. One Drake alumnus opined that high school students smart enough to get into Drake would appreciate the irony of the D+ campaign. (Incoming freshmen reportedly average a 27 ACT and a 3.7 GPA.) I hope so. I am just picturing certain parents who may see the campaign and think: "Finally, a real university for our idiot child!" I probably wouldn't give this any more than a passing laugh if Drake wasn't my alma mater, where I earned a bachelor of arts degree... in advertising. When I finish my PhD, Drake is actually a school whose faculty I would love to join. I want to teach really smart students. As such, I hope Drake's D+ campaign proves all the critics wrong. Stamats Inc. hopes so too, since this has become their leading case study, whether they like it or not. Florida Republican candidate for state legislature talked into making (bad) Glee ripoff campaign video: Hilarity ensues! In many ways, this thing is so bad that it's good. Not in the "getting Mike Weisnstein elected" kind of good, but in the "this is too funny not to share" kind of good. Of course, the abundant humor is likely unintentional. I can just imagine the strategy meeting when some guy jumped up and exclaimed, "I've got it! We'll do a hip music video like those kids do on Glee, only we won't make it gay or anything, just really wholesome. Wholesome tests really well with our base. We'll show some minorities -- not too many though -- and people dancing and doing flips and stuff. And we can cram all our platform points into some catchy lyrics and repeat Mike's name and district over and over! It will be awesome. And my nephew can star in it! No, really, he's got a lot of talent and I know he'll work cheap and his friends will work cheaper." Back in my ad agency days, we liked to say that behind every bad ad was a client who approved it. In this really bad ad, the candidate himself proudly gives his approval. That alone should tell the voters in Florida's District 19 to vote for the person running against Mike, Mike, Mike Weinstein, representing District 19. Still, this may be the funniest thing to grace YouTube from a candidate so far this election cycle. Pretty unlikely that this TV commercial will run anytime soon in the U.S. The Fundies would freak. OK, stop saying the French are spineless... at least when it comes to marketing fast food. Félicitations et merci. Plutôt impressionnant, McDonald's.